The club takes the privacy of members seriously, and takes measures to ensure that details of members are kept secure. Information is limited to: Name, Address, Phone / email, membership type, payment status, news option/out choices, LTA membership number, Club membership number, and I.P. address of the computer used to submit the form. Where the member is under 18, parent / guardian details are also kept on file. Age of members is not stored, nor links to any groups , or coaching sessions in which they take part. Details submitted will be included in a confirmation email to the applicant. Sharing of individual information may take place between the club and the following people on an ad hoc, and specific member basis. Members details (restricted to name / family name) are shared to coaches to ensure that people attending coaching are members of the club if required to be. In addition email addresses may be shared with the head coach for the purpose of chasing overdue payments for membership. Adult members phone / email details are passed to team captains on a case by case basis should captains need to contact members. Permission for this is requested in the membership form. LTA data is passed to the committee member(s) responsible for the Wimbledon draw to establish a list of members who have / have not opted in to the draw. Details stored on the lists above may be requested to view by the member, individual, or a parent / guardian in the case of a junior / under 18 by contacting the president. The use of CCTV around the clubhouse and car park areas has been considered and is required for the purposes or prevention and detection of crime, investigating misuse of facilities, ascertaining damage to property and for protecting the safety of members and visitors. It will not be used for any other purposes and its use will be reviewed annually. Images will be retained for a period no longer than 28 days and then disposed of, unless required for the purposes named above. Images from the CCTV are securely stored and only a limited number of authorised persons have access to them. The recorded images are only retained long enough for any incident to come to light, or investigated. With the exception of law enforcement bodies in the instance of crime, or insurance companies in the instance of damage to property, images will not be provided to third parties. Cameras have been positioned to capture only images and video of persons visiting the premises in common and public areas in and around the club. There is a designated person responsible for the system. 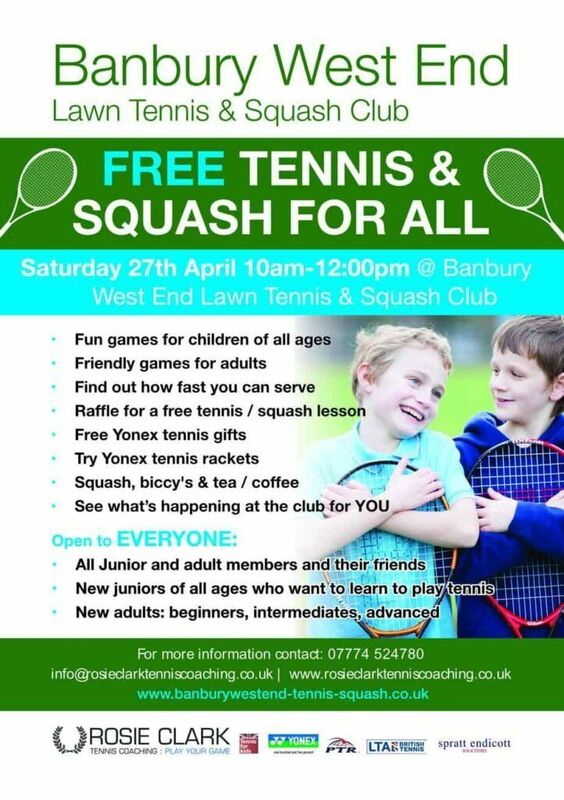 This person is the Club President who can be contacted on president@banburywestend-tennis-squash.co.uk. The potential impact on individual’s privacy has been identified and taken into account in use of the system.